Contracts – Zekiah Technologies, Inc.
Zekiah Technologies, Inc. is proud to announce its selection as a Prime Contractor to the Department of the Navy, Naval Sea Systems Command (NAVSEASYSCOM) for their Next Generation SeaPort (SeaPort-NxG) Multiple Award Contract (MAC). SeaPort-NxG is the Navy’s electronic platform for acquiring support services in 23 separate areas that include Engineering Support Services, Software Engineering, Research and Development, Program Management Support Services, Financial Analysis and Budget Support, Information System (IS) Development, Information Assurance (IA), and Information Technology (IT) Support. DoD estimates the government will procure $5B worth of services annually through SeaPort-NxG, which contains a five-year base period of performance and a five-year ordering period option. The MIL Corporation (MIL) has been awarded the five-year contract valued at $57.3M with a place of performance in St. Inigoes, Maryland. MIL’s winning team includes five subcontractors: AV3; By Light; EMW; iDirect Government Technologies; and Zekiah Technologies. Zekiah Technologies, Inc. is part of a team assembled by Concurrent Technologies Corporation (CTC), which has been awarded a competitively bid, indefinite-delivery/indefinite-quantity, multiple award contract from the U.S. Marine Corps Logistics Command for Marine Corps Logistics Support Services (MCLOGSS). The CTC team is comprised of 20 large businesses and 18 small businesses. Zekiah Technologies, Inc. has been awarded a contract from the Mission Assurance Division at the Naval Surface Warfare Center in Dahlgren, Virginia. 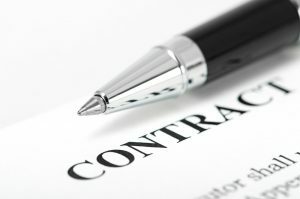 The contract was a competitively-bid small business set-aside and Zekiah lead a team that includes Booz Allen Hamilton, ArdentMC, and Esri. Welcome back for Part II! Zekiah has been working in the complicated government contracting world for over a decade as a small business. In that time, we have been asked many times by other companies, most of the time new starts ups but sometimes established companies much larger than us, how to develop indirect rates for Cost Plus Fixed Fee (CPFF) contracts. Hopefully this post will give you some idea of how to start the process. 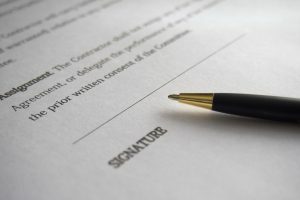 I’ll start with reviewing the different types of contracts in this post and then next time we will address budgets and developing your indirect rates.